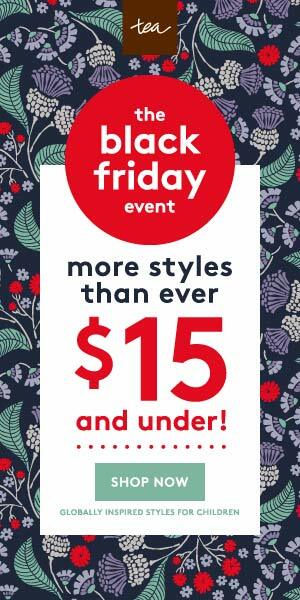 Just wanted to share that one of my favorite Children’s clothing brands is having a sale! It’s time to save big! Starting today and for one day only, March 23rd, you can shop Tea Collection’s sale at 25% off with code SPRINGSAVINGS. Shop now and save up to 65% off our Citizen Blue collection. 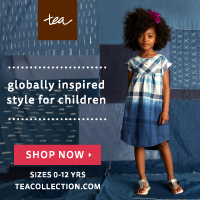 Plus, select Italy-inspired styles have just been added to Tea’s sale. It’s the perfect time to update your little citizen’s spring wardrobe. From graphic tees to leggings, you’ll find the perfect spring outfits for your little girl. For boy, you’ll find graphic tees with jogger pants to match! For baby girl and baby boy, you’ll find adorable rompers in bright prints and graphics, and lots more! This is it! 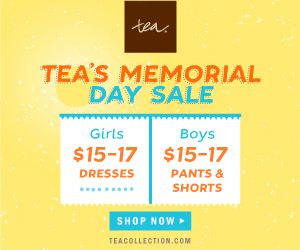 Tea Collection’s Semi-Annual Sale is going all out and marking sale items down an additional 40% off! The sale ends on Monday (7/7). Sweet dresses, tees, onesies and more all filled with the rich colors and intricate patterns of faraway Morocco. Simply use the promo code: MORE40 when you checkout. Don’t wait, styles will sell out as the sale is almost over. Have fun shopping! Now that school is out and kids are off to camp, are you looking around your house and wondering where all of the water bottles, hooded jackets and that extra pair of sneakers disappeared to? 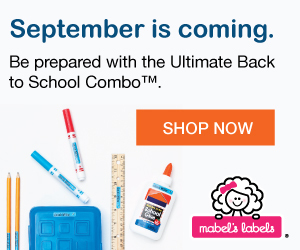 Get a jump on the back and forth of belongings before school starts up again, and take advantage of Mabel’s Labels Back-to-School early bird pricing. Whether you select the bestselling Mabel’s Labels Ultimate Back-to-School Combo or the new Mabel’s Labels Stylish Scholars Combo , you’ll receive 108 tags that are UV resistant, waterproof, dishwasher and microwave safe—perfect to track everything from tablets to bento boxes. And, if you purchase in July, you spend only $39 per combo pack (regularly $42). Take advantage of Mabel’s Labels Back-to-School early bird pricing and secure yourself some peace of mind before the school year begins.